In the ancient days, cooking meant spending hours in the kitchen and our lifestyle allowed it. However, as times are changing so is our life. We live in a fast-paced world no wonder, we have the fast food restaurants thriving. Today, most of us are concerned about our health so we are looking for healthier eating options. What I like about the pressure cooker is that you will mostly make healthy meals. That’s why it’s almost impossible to miss a pressure cooker in every home today. But, having a pressure cooker is one thing and cooking delicious and healthy meals in it is another thing. Luckily, we have books that will teach you how to use the pressure cookers and the correct recipes to cook in them. Unlike the past when people feared using the pressure cookers because they would sometime explode, the modern pressure cookers are safe to use. That said, you have no excuse for eating unhealthy meals or going for the frozen dinners. Zimmerman has a way with words, she makes it easy for you to understand the 125 classic, modern and premium recipes. They feature all the whole meal recipes yet you don’t have to stay in your kitchen all day and night cooking. She further gives you guidance on how to use the cookers and especially your do’s and don’ts of pressure cooking. I like the part where she tries to show you how to adapt your favorite recipes to the pressure-cooking process. The book will tell you if you can use the different recipes on the electric pressure cookers or stove pressure cooker. If you are concerned about the nutritional information, don’t be because the book tells you whether the meal is vegan, gluten-free, paleo diet or a one pot meal. If you are anything like me, you probably know that diversity is the norm. With this book, regardless of where you come from, making a meal that is from other parts of the world is fun. What I like about the Everything Healthy book is that it makes it easy to cook not only healthy but also delicious meals. From eggplant Caponata, Italian Herb and Lemon Chicken, Butternut Squash and Ginger Soup and hundreds more! The book-Everything Series has you spoilt for choice. The aim is to create all the healthy and whole grain meals while reducing the cooking time by 60 or 70 percent. Italy is mostly voted as the country with the best cuisine and the fact that this book is based on most Italian recipes, who wouldn’t want to try them. It shows you exactly how to cook in the pressure cooker. No wonder, its customers praise it as a series of cookbooks to look for. These days, preparing a healthy and delicious meal the conventional way seems to consume a lot of time. I have been a culprit of having to use shortcuts when cooking my favorite meals to quickly finish up the cooking. For this reason, convenience wins if you must cook. The pressure-cooking process is quite easy and will help you if this is your problem but not without this amazing book. Using this book as a guide you will understand much more than you would have because the author is a cooking equipment expert. She creates a list of ingredients that you would use to make your favorite vegetarian meals. She further emphasizes the use of a few powerful ingredients as opposed to other books where you are given a list of complicated and inaccessible ingredients. You have the basic methods of meal preparation and the one pot meal options at your display. While it’s the work of your pressure cooker to quickly cook your food, with this book the emphasis is on healthy, fresh and quality meals. Who said the vegan pressure cooking is boring? Apart from nutritious and healthy meals, you have the best meals to sample within the book. The book shows you how with your instant pot or pressure cooker you can cook your healthy meals within an hour. What’s more, the meals are delicious and filling. Whether you want to make your breakfast, lunch or dinner let this book help you in conquering your pressure-cooking fears. It’s a book made of 30 colorful pages and 120 recipes (all vegan) for you to try. Moreover, you have a section that shows you how to use either the instant pot or multicooker. You will also get a guideline to choose which cooker you prefer. Cooking with these cookers can be tricky because it’s very easy to overcook your food. The book gives you a chart to follow when cooking veggies, beans other grains among others. This way you avoid guesswork. It matters not whether you are a pro-cook or beginner, you will find the book helpful. You have probably bought your first pressure cooker and you excited about it but you are still familiarising with it. This cookbook will guide you on how to cook your meats, legumes, grains, veggies with different kinds of pressure cookers. You have a cooking chart to help you cook all the different kinds of meals. But what’s more important is that you don’t have to guess the time it takes to cook a meal and end up with food that is overcooked. You further have the helpful tips to guide you on how to pressure cook. Simply the best gives you hands-on experience since its written by a pastry chef who loves to pressure cook. Your 80 colorful recipes will make your family ask for your secret tips for a delicious meal. Get off the worries of having accidents because of using a pressure cooker. This cookbook focuses on those pressure cookers that use electricity as a heat source. The great book has a compilation of great recipes that you may use. I love to cook the peanut butter and cheesecake because it’s not only easy to cook but also stretches my creativity every time. With this recipe, I can rest assured that my family is fully satisfied by the time I am done serving dinner. The best part is that you can trust the cookbook because the author is a veteran at making recipes using different kinds of pressure cookers. Creating your breakfast dinner and lunch is a breeze when you have this cookbook. Whether you have an electric or stovetop pressure cooker this book has got you covered. It features an author with more than 10 years’ experience in cooking with the pressure cooker and 200 new recipes to try. The book is best suited for the instant pot. Unlike most other books that may just use shortcuts, this book begins each of the chapters with an explanation on how each ingredient you use reacts under pressure. Furthermore, it guides you on how to keep yourself safe when cooking the different kinds of meals. You will find this book useful because it was written with the help of cooks who are at different levels of their experience. Whether you are just beginning to use the pressure cooker or you are a novice, the hip pressure will serve you greatly. Laura has also introduced 2 new pressure cooker opening methods that will make sure you never get steamed or burnt again. You are also taught how you could combine the different meals and let them cook together. Also, it teaches you how to utilise a few ingredients while harnessing the heat, speed, evaporation and infusion to produce a rich and flavorful meal. In this case, we have a book that teaches you how to use your regular electric pressure cooker and stovetop pressure cooker. 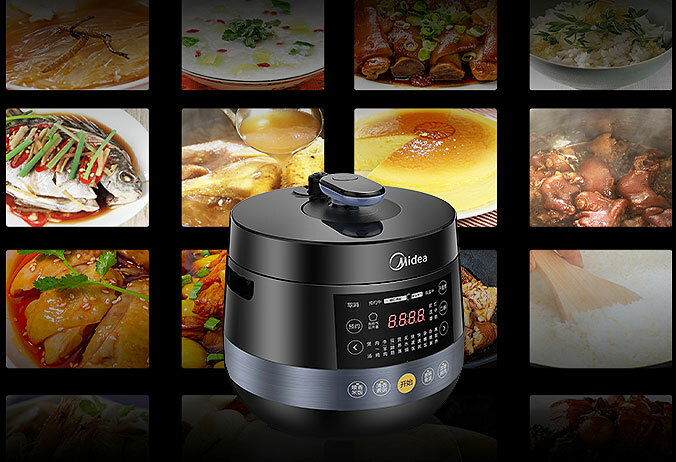 It will help you in cooking almost 101 simple and delicious meals in a few minutes. It offers you the guide on the time chart for each meal depending on the pressure cooker you have. You don’t have to use the unique ingredients to have a hearty meal on your table, you can use the common ingredients and still have your desired meal. We all love innovation, don’t we? The author gives you 6 new pressure-cooking techniques that you may safely try. You will also find the step by step method of the natural and quick release method. Lastly, you have the tips of how to successfully use the pressure cooker. A good pressure cooker will let you savor the rich meals on a busy day or night. In a world where we are concerned about human health after consuming lots of fast food, you might find it encouraging to use the pressure cooker. But when you have an electric pressure cooker, you have a convenient and fast way to cook your meals. When you have a pressure cooker, chances are you won’t need the slow cooker or a rice cooker. Pressure cookers are your best cookers with versatile options, durable make and the modern ones are extremely safe to use. This cookbook is what you need to get working with your new electric pressure cooker. To begin with, the book gives you the history of the pressure cookers and why you should all use the pressure cooker to cook all the different meals. It then teaches you about the different parts of the pressure cooker making it easy for you to understand the gadget. For most people, the control panel is often intimidating and that’s why they opt to stay away from it. Worry not anymore because this book has you covered. You will be guided into the meaning of every part of the control panel before introducing you to the recipes. With 110 recipes you will have more than you need to familiarize with the electric cooker. I often say that with 500 recipes you have a recipe to try for every day of the year. This book is another one that will suit all the different kinds of stovetops and electric pressure cookers. Are you seeking to try other new recipes and spices? this book covers an array of spices to use on a day to day basis. The author designed the book with people of different levels of cooking experience on the mind. The reason we began using the pressure-cooking method is that it cuts your cooking time to 1/3. The amazing thing is that although you cook under pressure your food retains its flavor, nutrients and texture. The fact that you use a shorter time cooking means you reduce the electric and gas bills. this Dianna page’s book is especially so helpful when you have different recipes to try. Whether you want to cook your poultry, fish or preserve your meals the book is a great guide. The book then highlights the advantages of using the pressure cooker and how you can use the pressure cooker. You will also be taught how to care for your pressure cooker because that determines its lifespan. For a long time, people avoided the pressure cookers because of the accidents it caused. Today, you have cookbooks that teach you about the safety while using the pressure cooker. Never assume that you know how to use it. You may think that you can cook with your pressure cooker using the same traditional methods but no. This is a different cooker that requires different cooking methods. Since you were using the traditional method to cook you should get a book to guide you into the new ways. For you to utilize and harness the power of the pressure cooker you need to explore. Note that, you can only explore when you try different recipes and techniques that are in the books. No one wants to spend the time coking only to come out with an overcooked meal or an outrightly pathetic meal. It’s therefore upon you to try the different recipes given so that you enjoy the process and the outcome as well.